TOOLS: Interdisciplinary methodology for linking health and social science with design decision-making, including literature review, pathways approach, and mapping indicators of social vulnerability and health inequity. 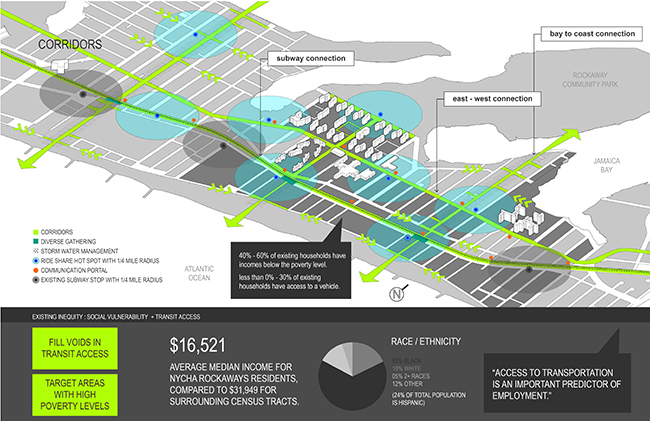 In partnership with Hester Street Collaborative and Ocean Bay Community Development Corporation, HealthxDesign worked to leverage built environment opportunities for long-term community health impact. 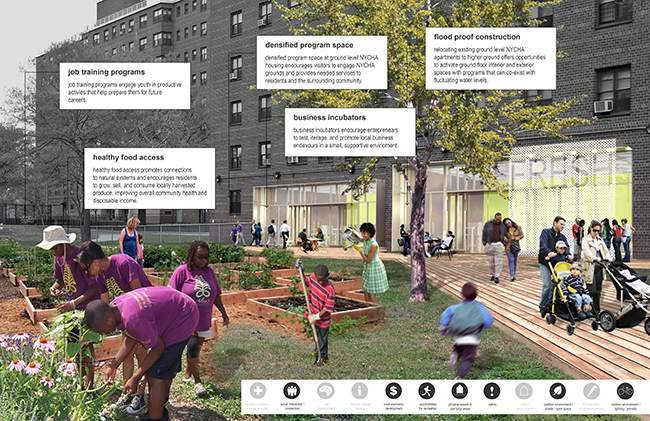 Leveraging community assets while addressing fragility, strategic interventions in the physical landscape were designed to aid the Rockaways community in adapting to environmental, cultural, and economic realities in order to unlock opportunities for a positive and productive future. What determinants of vulnerability are most applicable to the Rockaways community and when addressed, will promote social and infrastructure resilience? What are opportunities for promoting resilience in relation to health, social, economic, and environmental impact? 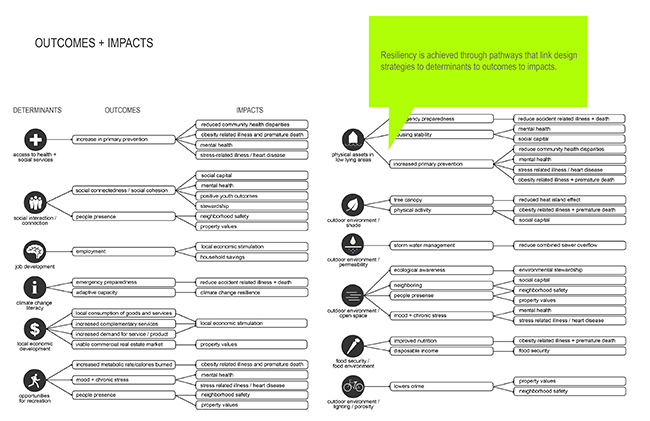 What are design-specific opportunities for advancing resiliency? What are the health, social, economic, and environmental co-benefits of proposed infrastructure, environmental, and economic development projects?